What are the driving forces of plate tectonics? 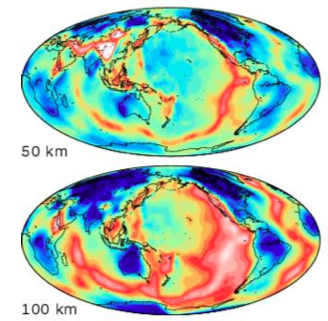 Does the Earth’s mantle convect globally, or layered? What is the role of volcanoes in the thermal evolution of the planet? Is there significant attenuation, melting and water abundance throughout the mantle? To what detail can seismology resolve the Earth’s interior? What is the nature of deep earthquakes? How do we formulate a robust and “reliable” imaging technique for an ill-posed, non-unique and non-verifiable inverse problem such as tomography? How can we assess error bars and uncertainties? 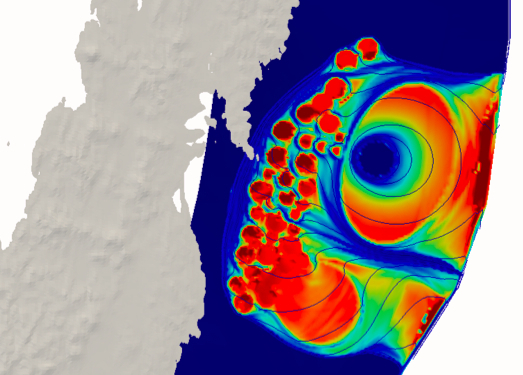 How to alleviate the exuberant computational burden of 3D multiscale seismic wave propagation? These are amongst today’s most compelling questions in studying the Earth’s interior, all of which are crucial and inevitable components to assessing the Earth system as a habitable planet. We are unable to penetrate the deeper interior directly, and thus need to rely on indirect evidence observed along the surface. Seismic waves excited by earthquakes and other sources carry faint yet distinct signals of the Earth’s interior. The challenge lies in deciphering those signals in terms of their causal origin, be that the earthquake rupture process or Earth’s complex structure along the propagation path. This necessitates a solution to the forward problem, which in seismology amounts to modeling the propagation of seismic waves. 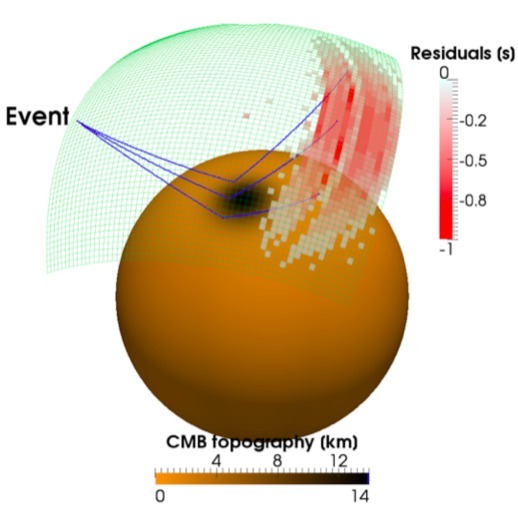 Given such a quantitative relation between observed signals and their origin, we may then transform seismic signals into three-dimensional models of the Earth by solving the inverse problem with techniques such as tomographic imaging. 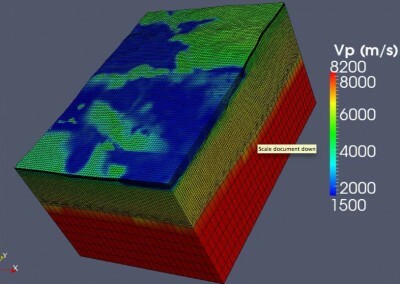 Most of our efforts rely on accurate numerical solutions to the elastodynamic wave equation, with which we tackle diverse forward and inverse problems at scales ranging from earthquake rupture to deep earth structures. We develop software codes such as AxiSEM, which scale and run well on high-performance computing infrastructures worldwide. We participate in numerous international, multi-disciplinary projects ranging from hardware design to oil exploration, seasonal noise (climate?) variations to the solar interior. We also engage with the public and wider community through a variety of outreach projects. We have a number of PhD projects available including a fully-funded studentship in Shear-waveform tomography and wave propagation on a global scale (Project EARTH-16-KS1) for 2016. Interested? If any of these or related topics spark your attention and interest, please do not hesitate to contact us. Note, however, that internally funded positions will be clearly announced on these pages, and we do not offer a funded summer internship programme.